Every Sensorist® solution comes with our free user-friendly software on desktop & mobile. With all of your sensor measurements easily at hand you'll never miss out on temperature & humidity changes. Quickly see your current environment situation and explore useful analytics & beautiful visualisations of the historic recordings. Get alerted at custom temperature & humidity levels, so you can take appropiate actions before it's too late. All of your measurements are managable and can be explored from a single online Sensorist® account. 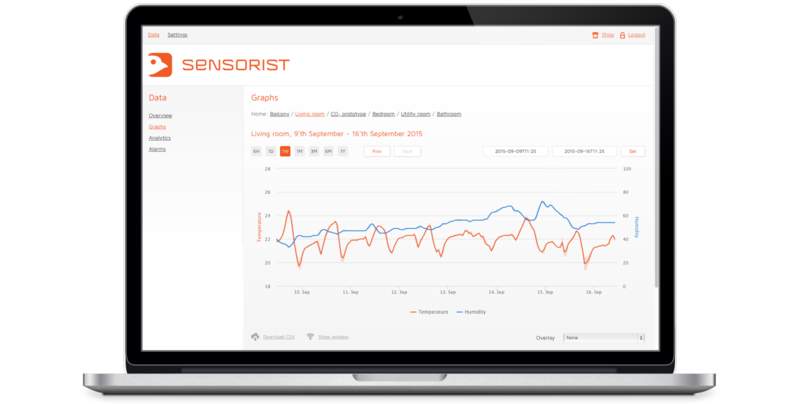 You register at my.sensorist.com when you setup your sensors. Easy to use free app for your iPhone with all of your latest and historic measurements right at hand. Our native Android app mirrors the feature-set of the iOS app and it can be downloaded from Google Play.